Porcelain veneers are among the most popular cosmetic dental treatments, and with good reason. Veneers can mask a variety of aesthetic concerns, such as chips, gaps, and discoloration. The result is a beautifully balanced and symmetrical smile that can transform your appearance. To keep your veneers looking and feeling great, you will need to follow a few simple guidelines. Here, our Red Bank, NJ dental team will discuss foods and drinks to avoid with veneers so you can preserve your new smile and enjoy several years of benefits. Because dental veneers are fabricated in a lab, most patients will need to wear temporary veneers during the two-week period in which the custom veneers are crafted. Temporary veneers protect the teeth from damage and sensitivity. In the sections below, we will discuss some of the foods you should avoid while wearing temporary veneers, as well as some foods you can enjoy during this time. 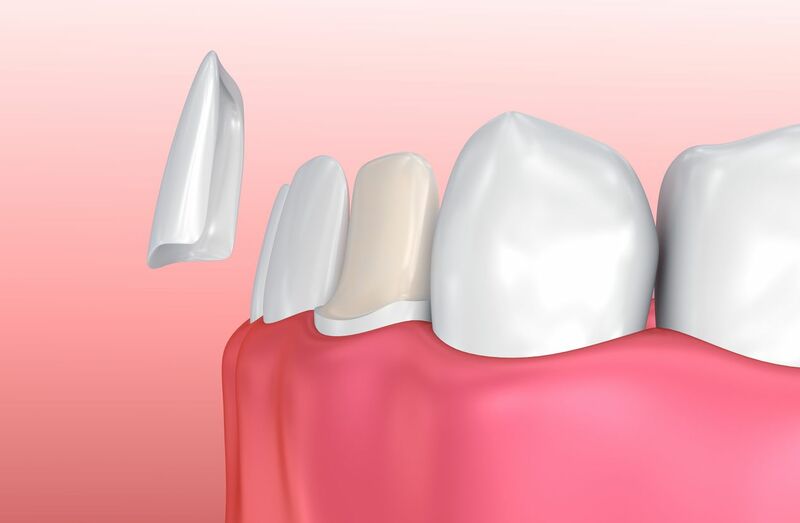 Temporary veneers are bonded to the teeth with temporary cement. As a result, they are more likely to shift, fall off, or become dislodged. Once your dentist replaces your temporary veneers with your permanent ones, you will have fewer dietary restrictions. Porcelain is incredibly strong and stain-resistant. As a result, permanent veneers are less susceptible to discoloration and breakage. However, certain habits may still compromise your veneers. In addition, dark-colored beverages, such as coffee, tea, cola, and red wine, should be consumed in moderation. In addition to dietary changes, it is also important to keep certain habits in check. For example, you should never use your teeth to groom your fingernails, open packages, or tear tags off of items. These behaviors can damage porcelain veneers, and they can have a negative impact on your natural teeth as well. To learn more about how to properly maintain veneers, schedule an appointment with Dr. Bixby. During a consultation, we can help you determine if this treatment option is right for you. Contact us today.